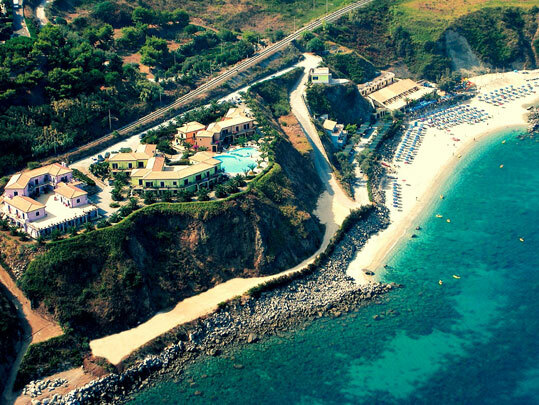 The Villaggio Hotel Lido San Giuseppe is located on the Tyrrhenian coast in Calabria, 89817 Briatico – Brace resort (Vibo Valentia). From the Hotel you can easily reach Tropea, Capo Vaticano, Pizzo Calabro, Vibo Valentia, Serra San Bruno and the Aeolian Islands. 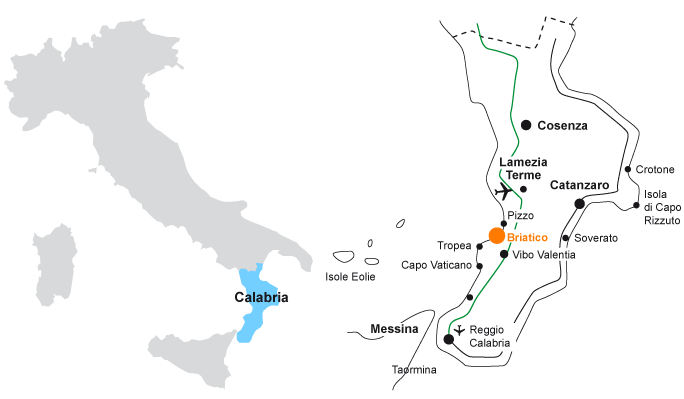 By car: Motorway A3 Salerno-Reggio Calabria-E45, exit Pizzo Calabro, then SS 522 for Tropea. By train: Lamezia Terme, Vibo Pizzo or Vibo Marina. By plane: Lamezia Terme Airport. .